DEARBORN — Democratic senators Gary Peters and Debbie Stabenow have long been considered as close friends of the Arab American community, but their decisions this week to vote in favor of the highly controversial Combating BDS bill have one community leader calling for an end to community relations. “Unless we have a clear agreement with Stabenow or Peters, we should not invite them to our dinners, we should not welcome them into our community and we should not give them a dime and find other candidates,” said Nasser Beydoun, chairman of the Arab American Civil Rights League. Beydoun was joined by The AANews Publisher Osama Siblani, who served as host, as well as University of Detroit Mercy law professor Amer Zahr for the 16 minute segment, which centered around the two Michigan senators’ “yes” votes. According to Siblani, Peters originally told community leaders about a month prior to Tuesday’s Senate vote that he would vote against the anti-BDS bill. Changes were made to the bill before the most recent vote, however, which led Peters to change his mind and vote for it. Peters voted for the bill because he cares about the other parts of it dealing with protecting Israel and Jordan, Siblani said. Siblani said that the bill is about far more than Israel, Arab Americans or any other country or group, but is instead about preserving First Amendment rights, which protect the right to boycott. “The First Amendment says very clearly, Congress shall not infringe on free speech rights of the people,” Zahr said. “That’s the whole point of the First Amendment, that citizens feel free to challenge their own government. “The U.S. Supreme Court has upheld the First Amendment many times and specifically with boycotts,” he added. Zahr said boycotts are a part of American culture, something the Supreme Court has made “very clear” over the years. 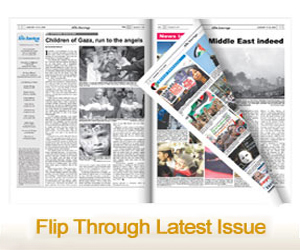 His analysis of the Combating BDS Act is that it is essentially a gift to the pro-Israeli lobby. The Michigan state legislature has already passed an anti-BDS bill. Siblani asked the guests what they would say to people who support Peters and Stabenow on other issues, such as health care, education and civil rights. “Why do we have to break down our relationship with them on only a single issue?” he asked. “We have to have red lines because this is not only attacking us as a community, it attacks our First Amendment rights,” he said, adding that the U.S. government boycotts other countries such as Iran and Venezuela. 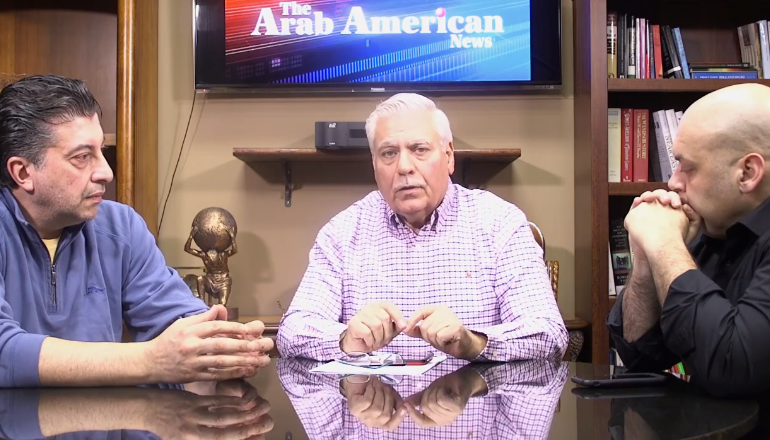 The video can be viewed in full on The Arab American News Facebook page here.